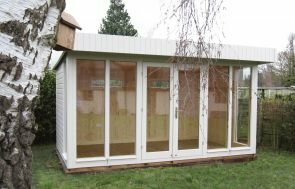 This Burnham Studio is one of the models from our range of garden studios, all of which include complete installation and delivery by our Team of Installers, who will ensure that your building is set up correctly. Combining timber and glass, the exterior has been finished in Valtti paint which is combined with terracotta slate effect roofing tiles. 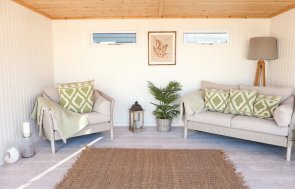 Our garden studios are ideal for use as a focused home office, a peaceful garden view-point, or an enviable outdoor entertainment space for you and your guests. We put focus on ensuring that we consistently present the highest quality garden buildings possible. In order to do this we source our timber from our trusted partner mill in North Sweden only as we can be sure the material produced there is sustainably managed and will last for years to come. We have 8 show sites located across the UK. Like all our show centres, our site located in Burford, Oxfordshire has in excess of 25 display buildings available on site for you to view and experience the design and quality for yourself. If you have any questions feel free to put them to our team at the show sites - there will always be someone on hand to help and offer advice should you need it. Do you like the look of this Burnham Studio? 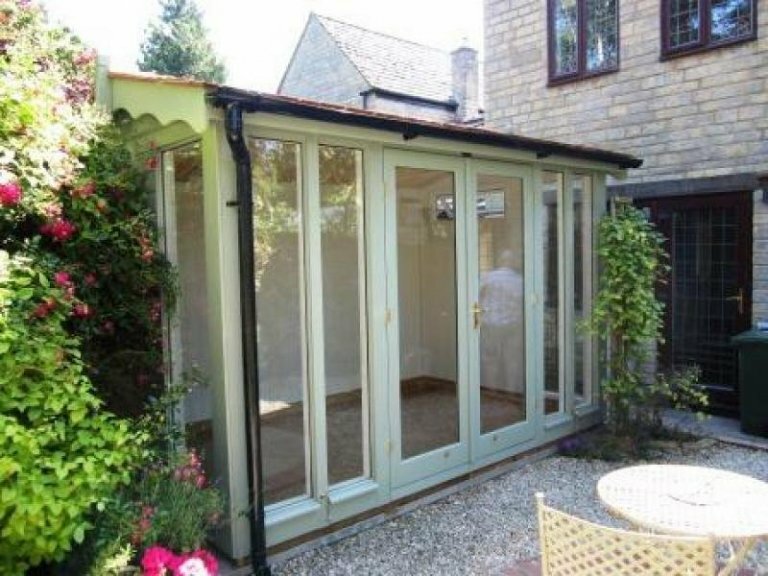 You are free to browse our extensive product range now online - simply click the link below to see the garden studios we offer.